Przewalski’s horse Rose Marie has died at the age of 31 at Smithsonian’s National Zoo in Washington, DC. 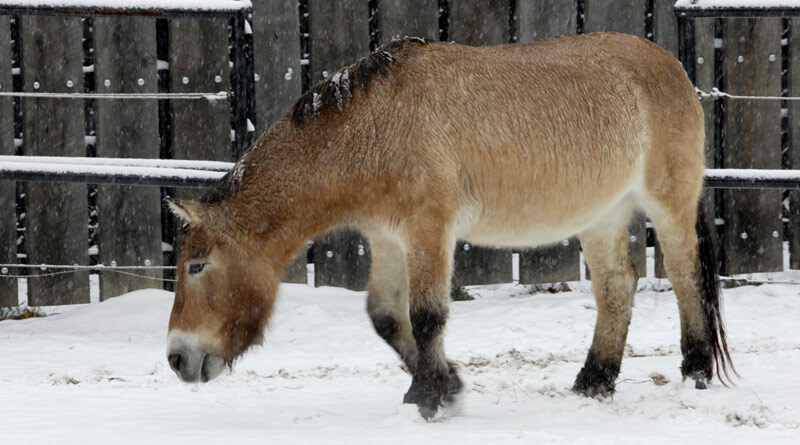 Long-lived Przewalski’s horse Rose Marie has been euthanized at the Smithsonian’s National Zoo in Washington, DC, because of old age and declining health. Rose Marie was one of the oldest Przewalski’s horses in the world, at 31. The median life expectancy for a Przewalski’s horse is about 15 years in human care. Last year, Rose Marie lost her Przewalski’s companion Minnesota, who was 29 when he died. Keepers and veterinarians worked extensively with Rose Marie to manage her health and provide her with the highest standard of care possible as she aged. Recently, routine activities and behaviors were becoming increasingly difficult for her, and her hoof and gait issues were becoming progressively worse. Due to Rose Marie’s poor long-term prognosis, keepers and veterinarians made the difficult decision to euthanize her on July 6. Rose Marie was born at the Smithsonian Conservation Biology Institute (SCBI) in Front Royal, Virginia, in 1986. She lived at SCBI until she moved to the Zoo in 2006. Rose Marie contributed to the survival of her species through her two offspring born in 1989 and 1991. They have also gone on to reproduce, making her a great-great-grandmother. Przewalski’s horses are classified as endangered on the International Union for Conservation of Nature’s Red List of Threatened Species. New research suggests that they may have been domesticated, but they are still genetically distinct from modern domestic horses. Scientists at SCBI study Przewalski’s horse reproduction and ecology, and have pioneered new techniques for assisted reproduction in the species, including performing the first artificial insemination in the species, and they help reintroduce and track horses reintroduced to the wild. Today, about 1500 Przewalski’s horses reside at zoological institutions worldwide, carrying genes from only 14 original animals. Due to hunting, harsh climate, loss of habitat and loss of water sources, fewer than 500 of this species are left in the wild. Currently, most live in Mongolia, China and Kazakhstan. In recent years many Przewalski’s horses, have been reintroduced into their former habitat.